Since opening in March 2014, Studio 338 has been aiming to secure Greenwich as the go-to hotspot for anyone looking to party in London. Since its inauguration, it has continued to try and push boundaries, investing heavily in the venue; with the installation of a glass and steel 'Atrium' being the latest major announcement just a couple of months ago. 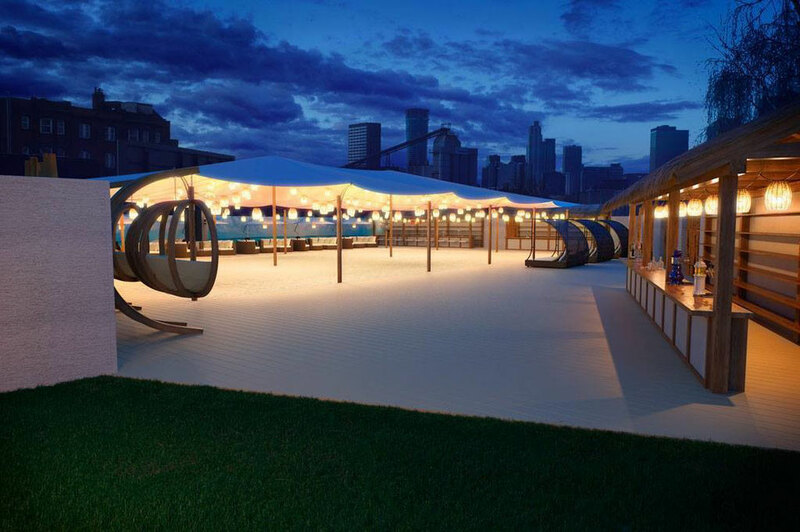 Recently, they went one step further by releasing news that for apparently the first time ever, London will get its very own full scale party beach arena. 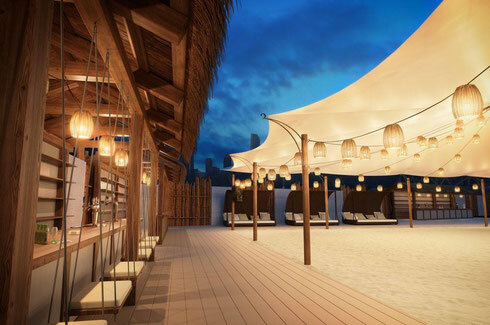 180 tons of sand are being imported, there will be a wooden decking surround, cabannas, two beach bars, BBQs, sunbathing decks and hammocks - essentially, everything you could wish for at a beach bar. The arena will be covered by a network of sails in case mother nature doesn't get the memo, but these are detachable for maximum sun-kissed party potential when she does. Studio 338 have also been programming a soundtrack for it. The Beach party season kicks off on 4 June with the Sankeys Beach Festival starring DJ W!ld and Phil Weeks, as well as Citizenn and David Mayer. Cocoon lands back at the venue just a few weeks later with Matador (live), Ilario Alicante, Dana Ruh and more across the day and night. July sees London underground party Art of Dark take over both Beach and Atrium for a marathon 5th birthday session, which will see Sonja Moonear lead the charge out on the sand, with an extended set from the trio Slow Life, and more surprises come soon from the AoD stable. Then it’s onto a Beach Fiesta with Space, with the line up yet to be announced. More highlights include human music studio Beardyman, Abode and some as yet secret live sessions.